Add a splash of contemporary style and modern elegance to your bathroom with the MOEN Genta Single Hole Single Handle Bathroom faucet. The faucet's clean lines, high-arc spout and reflective chrome finish provide a refined, upscale look. The unique spout delivers a smooth ribbon of cascading water, controlled by an easily adjustable 1-handle lever that was designed to adapt to your needs. Danika Single-Handle High Arc Bathroom Faucet in Spot Resist Brushed Nickel Update your bath with the Danika collection. Each piece features clean contemporary lines with a soft edge for a sophisticated look. 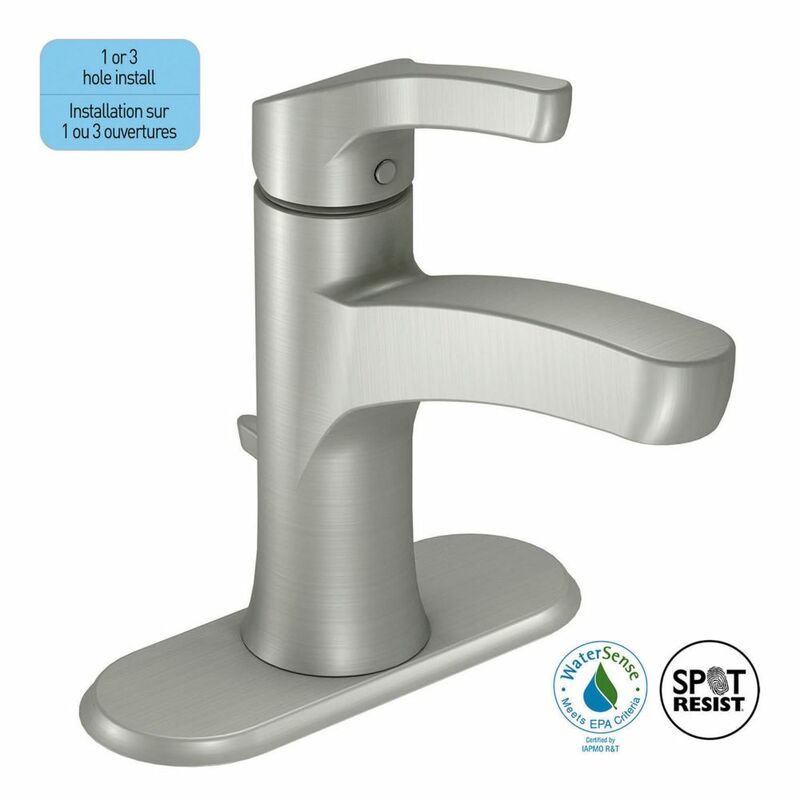 Danika Single-Handle High Arc Bathroom Faucet in Spot Resist Brushed Nickel is rated 4.7 out of 5 by 3. Rated 5 out of 5 by sheppie from works fine Its a moen and the quality is great. the install was easy and everything was there. Rated 5 out of 5 by Jolene from Usual Moen quality Having put Moen "spot resist" taps in my kitchen, I wanted the same for my bathroom remodel and the Danika line does not disappoint. Style is somewhat utilitarian, but in the lower price range does the job quite nicely. Keep in mind that the underside of the faucet has a seam, which is hard to see from the website photo. The simple lines, angular and round, work well with other design lines in the Moen family, so it is not necessary to stick with just one group.